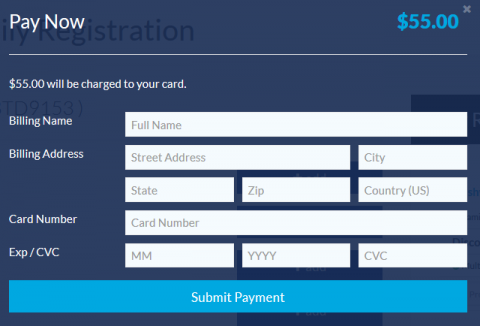 How Do I Modify or Upgrade My Registration? 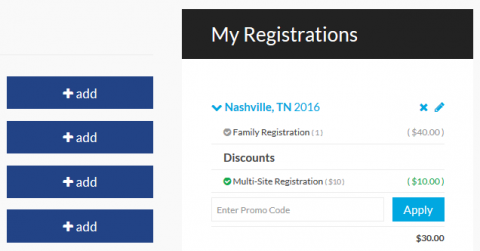 You can modify your registration by visiting this page and logging into your account. You are able to change your email address, names and other information. You can also add options such as Men’s Breakfast, Children’s Program, Four-12 Teen Program, Drama. However, we do not offer refunds once your registration has been processed. After your account has loaded, you will see Account at the top, right side of the screen. Using the large + add buttons and the minus icons next to an item name under an event you can modify your registration.